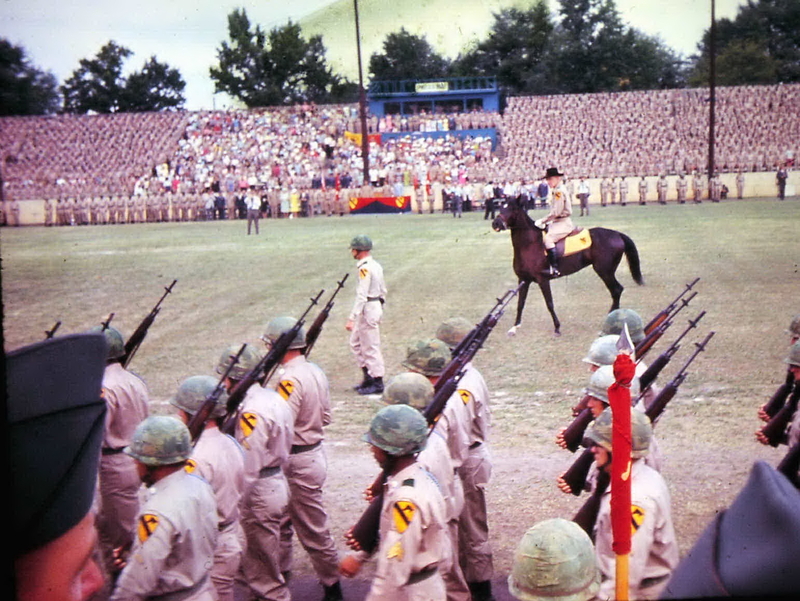 The Bullwhip Squadron Association will be sponsoring a 1st Squadron 9th Cavalry Regiment 50th Anniversary Commemorative Ceremony and Memorial Service recognizing the 3 July 1965, activation of the Squadron at Doughboy Stadium, Fort Benning, Georgia. Our ceremony will take place on 2 Jul 2015 (0900 hrs) honoring the 1st Squadron 9th Air Cavalry Troopers, the unit lineage and the history within the 1st Cavalry Division. TAPS, possible UH-1 HUEY flyover (big challenge to find) posting of Colors, conclusion of ceremony. Refreshments afterwards on location. We will have buses available and blocked rooms for association members at the Columbus Holiday Inn North I-185 (same as the C Troop Reunion location, 2800 Manchester Expressway, Columbus, GA 31904, 877-859-5095) to transport to and from for ceremony attendees. In addition, we will be making special coins for 1-9 CAV veterans that were there in 1965 with Troop and a Squadron coins. We will send out an initial email to everyone on our lists but we would like those who know others not on our lists to forward the information presented here. We have a special Gmail account for RSVPs and information (1st Sqdn9thCav50th@gmail.com). You must RSVP by email, letter or phone by June 5, 2015 to reserve your attendance so that we an properly plan for transportation (for Bullwhip members) reserved seating (for members and Active Duty current or former HEADHUNTERs) and refreshments. Troopers that contact us and plan on attending will asked to provide contact information and Squadron affiliation information (dates served, units, duties and if you can a picture of you when you served your tour/assignment). Your information will not be shared with any other organization or commercial entity and will be used for attendance planning and historical record keeping. No email, phone or address (except for city and state)information will be retained. Matthew Brennan wrote three books about the First of the Ninth Cav. The first was “Brennan’s War” but the next two were about other men’s wars—compilations of the memories of other squadron veterans, edited and introduced by Brennan.